Listening to our customers has enabled us to expand our collection of shower trays, ensuring that we can provide trays to fit any space; large or small. Our extensive range comes with many different style options, as well as sizes. Choose a traditional shower tray that blends perfectly with your décor, or go for a contemporary look and make a statement. Our shower trays are easy to install and built with durability in mind, ensuring they fit into our busy lifestyles. As well as our range of anti-slip trays, at Q4, we also offer long lasting anti-slip kits that can be applied to existing shower trays and baths. A hygienic alternative to a mat, anti-slip will reduce the risk of slipping, putting safety first. 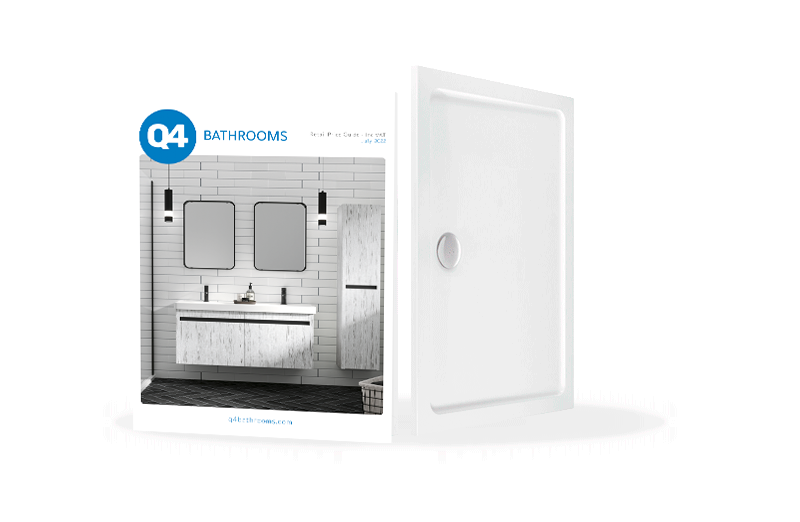 Why buy shower trays from Q4?